I begin this with a confession, perhaps the most crystal clear and truthful comment I have ever made in my life; I love Brazilian food. The sheer scope of the cuisine, the tantalising diversity one can find even in one dish (let alone a menu), the sublime nature of their cocktails; everything about it is just so good. This is why during my last trip to Manchester I jumped at the chance to investigate Favelas. Good food is something to get excited about and I don’t believe I’m alone when I make that statement. More so, enchanting drinks are something to be celebrated, both in their taste and potency. Then there’s the ambience in which you enjoy both of these indulgences, which is what can’t be bested by anything but a fantastic trip out to a restaurant. This was certainly the case when I found myself in Favelas, as I’d had my eye on them from the day they joined Gourmet Society. Sheltered from the blinding sunlight outside, the interior was lit not in a dim manner but a welcoming, relaxed tone that when partnered with charming touches, such as colourful little lights dotted around the place and faux palm trees, created not only a laid back vibe but an environment that almost insisted you take it easy with a few drinks. I was not one to argue with such an atmosphere and asked to sample what I consider a good taste test of any Brazilian restaurant; a Caipirinha. Brazil’s national cocktail, this simple yet sublime drink is a classic case of a drink that’s easy to make yet hard to master. Essentially nothing but crushed ice with rum, lime juice and sugar, a Caipirinha is a decadently indulgent drink where the devil truly is in the details. To my elation the charming Carmen, the incredibly friendly and attentive waitress that facilitated my divine dining experience, had made one that was, to me, close to perfect. The ideal kick of alcohol, that tinge of zest from the lime and that irresistible sweetness with each sip made even my professionally curious palate agreeing to have nothing but Caipirinhas for the rest of the meal. 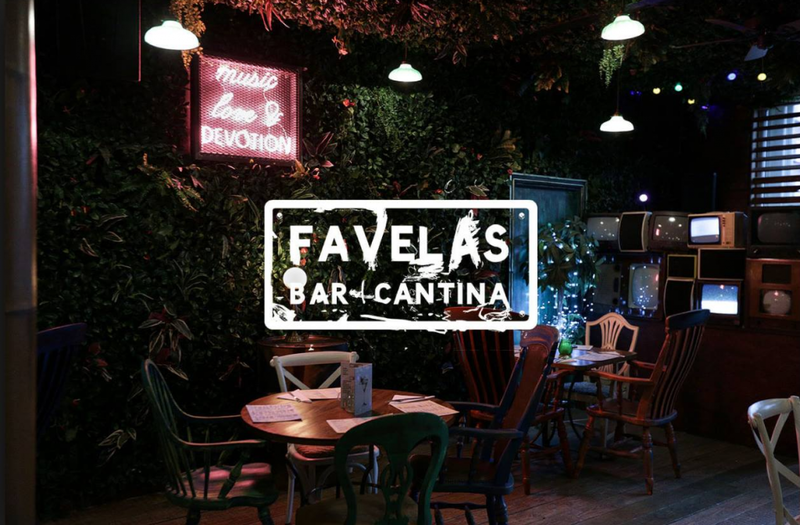 As extensive and enticing as the rest of Favelas’ bar menu was, it was merely the tip of the iceberg as the deliciously diverse ensemble of dishes served as the true focus of the restaurant. An eclectic array of Brazilian classics, many with some intriguing twists, presented a multitude of choice that had my eyes scanning the selections several times. 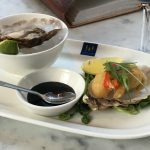 Finally settling upon the Chimichuri Rib Eye Steak, I vowed to return soon to sample something more on the side of seafood, while my partner, craving something with chicken, requested the Frango Churrasco. Although I was drinking them quite quickly, somehow our selections were served before us in an incredibly swift manner before I could even finish my first Caipirinha, all delivered with a dazzling smile (and a follow up drink to my unbridled joy). Though it may be easy to merely call my steak something like ‘juicy’ or ‘great’ I don’t feel that would do it justice. In my experience ribeye steaks usually fall into one of two categories; fatty to the point of resembling a road map filled with white roads across a barren red landscape or utterly succulent and bursting with flavour. Favelas certainly delivered the latter, with my very first bite simply exploding with blissful flavour. Cooked rare (naturally) and infused with a chimichurri marinade, the subtly sweet and spicy tastes blended perfectly with the ideally cooked meat, causing me to remain quiet, close my eyes and slowly allow myself to enjoy my dish with every single mouthful. Thick and the tender, the meat alone was the kind that felt like it was melting, which when enjoyed at a sloth’s pace every element (like the aforementioned marinade) could truly reach its potential. Combined with the refreshingly crunchy coleslaw and the perfectly crispy, albeit still retaining a fluffy interior, chips I had absolutely nothing but praises to sing about how Favelas handled a steak. Seeing that my partner was seemingly savouring their dish just as much as I was I didn’t want to intrude. And yet professional curiosity, and natural gluttony, bowed down to their kindness when they granted me a taste. The Frango Churrasco, skewered chicken thighs partnered with a creamy crushed potato salad and a delectably spicy Cajun mayonnaise, was sublimely scrumptious, with the garlic and lemon marinade granting that oh so ‘moreish’ sensation, the kind that makes you want another mouthful even with a mouth already full, with each bite and the potato salad serving as a delicate palate cleanser. Even the slightest dip on the Cajun mayo granted even more exemplary culinary combinations on the tongue, serving as a complementing contrast to the almost smooth taste of the chicken, though I couldn’t pin point any more of what the dish offered as I was afraid I’d never stop, leaving my partner without a meal to call their own. 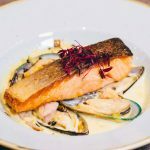 I had arrived fully intending to try something from across the entire menu, though even without treating myself to a starter I found myself full and satisfied from just a main course. Favelas know how to please with their dishes, in terms of both quality and quantity, and I was almost stunned to find my stomach sated with just the one course. Though if there is one universal truth everyone can adhere to it is that there is always room for dessert, which was a truism I simply had to obey when seeing the special desserts being served. Believing that we’d ordered the simplest treat to share my partner and I requested the classic Churros, though the choice that came with them was almost mind-blowing. Given the option of one of four sprinklings, ice creams and sauces we opted for the hazelnut and Oreo sprinklings, vanilla ice cream and a rum toffee sauce. Excuse me for a moment but I have to let that last one sink in. Rum. Toffee. I didn’t know what I’d done to merit such a heavenly treat. 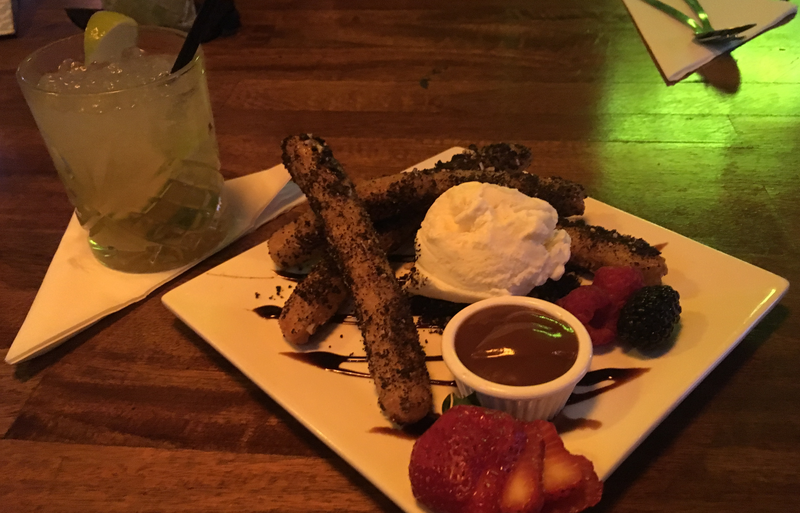 Words can hardly do this dessert justice; the perfect portion for two almost-stuffed diners to enjoy, the presentation akin to pure beauty and the variety of adornments made the Churros a dessert that just kept giving. Blissfully warm with a sumptuously crisp outing hosting a soft interior, the hazelnut & Oreo sprinkled Churros alone were fantastic, but it’s when I experimented with each spoonful that I discovered how rich a dessert can be. Paired with freshly cut strawberries, raspberries and blackberries as well as the sauce and ice cream, virtually every sweet taste bud was appeased, especially with my gluttonous serving of the end of a churro resting next to half a raspberry, topped with ice cream and then smothered in rum toffee. If love had a taste it would be that mouthful. Upon leaving, the friendly manager informed me that soon there would be live music echoing throughout the establishment on a frequent basis and that there was an even larger menu coming along sometime mid-July, which seemed to me to be too much for Manchester to deserve. 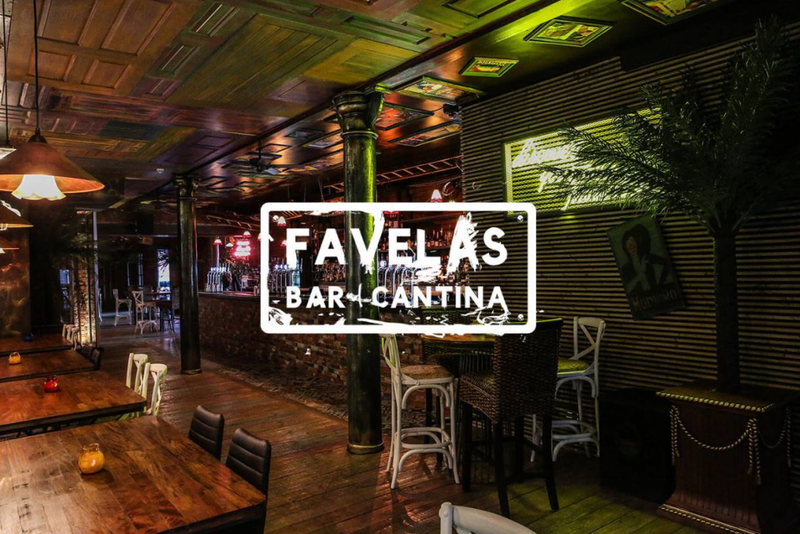 What Favelas is already is, at this time of writing, a thoroughly charming venue that adds something special to even the most casual of meals. And casual it can certainly be, as even without using my Gourmet Society card the prices were unbelievable; especially for somewhere that’s a stone’s throw from Manchester Piccadilly. I left Favelas in the hope that I could return very soon, optimistic that someday soon all of Manchester will know of that delightful spot tucked away in the Northern Quarter. Have you visited Favelas? How was your experience? 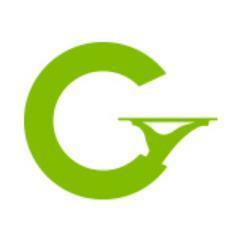 Let us know about it, or any other Gourmet Society experiences, below in the comments below, find us on Facebook or twitter and be sure to see where else Gourmet Society has been!